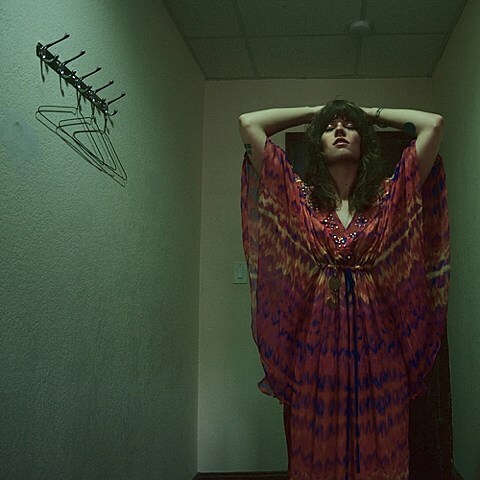 Brooklyn singer/songwriter Katie Von Schleicher inked a deal with Ba Da Bing Records and they’ll release her new album Bleaksploitation on November 13 on cassette and digital (pre-order). We’ve got the premiere of its track “I’m Not The Money,” and if you’re a fan of former Ba Da Bing artist Sharon Van Etten you’ll probably dig this too. The song’s got an old soul, somewhere between early rock and roll and a drunken piano ballad, but Katie doesn’t go too retro. She recorded it straight to a Tascam four-track cassette machine, giving it a similar lo-fi hiss to early Cat Power or Will Oldham recordings. Listen below. Katie also has a few local shows coming up. She plays ‘The Hum’ series on 10/19 at Manhattan Inn which is free (full lineup here), and she’s also set to return to that venue on November 5. Then, she plays a Bleaksploitation release show on November 10 at Alphaville with Cantina and Cassandra Jenkins. Advance tickets for that one are on sale.